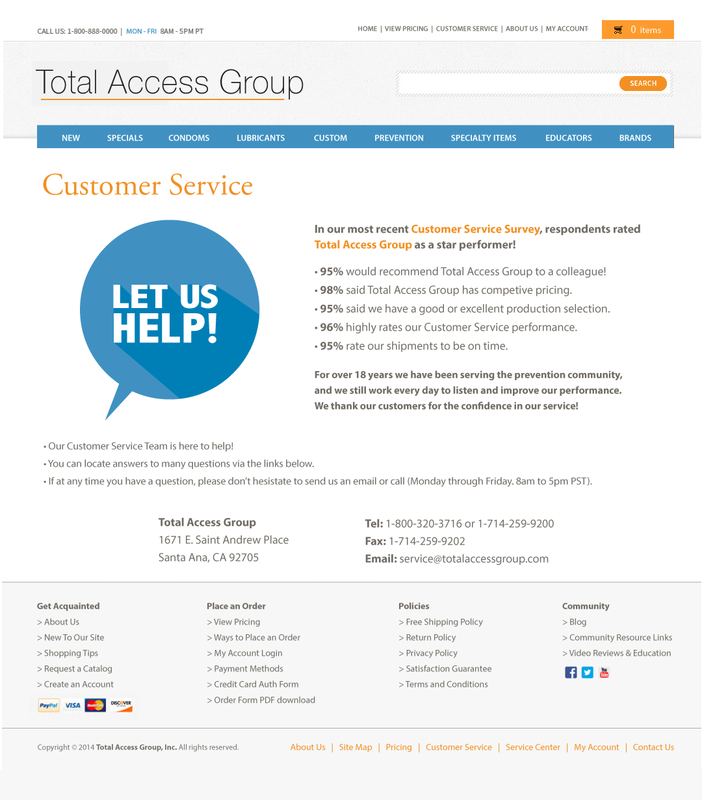 This project was a redesign of the e-commerce website, Total Access Group. 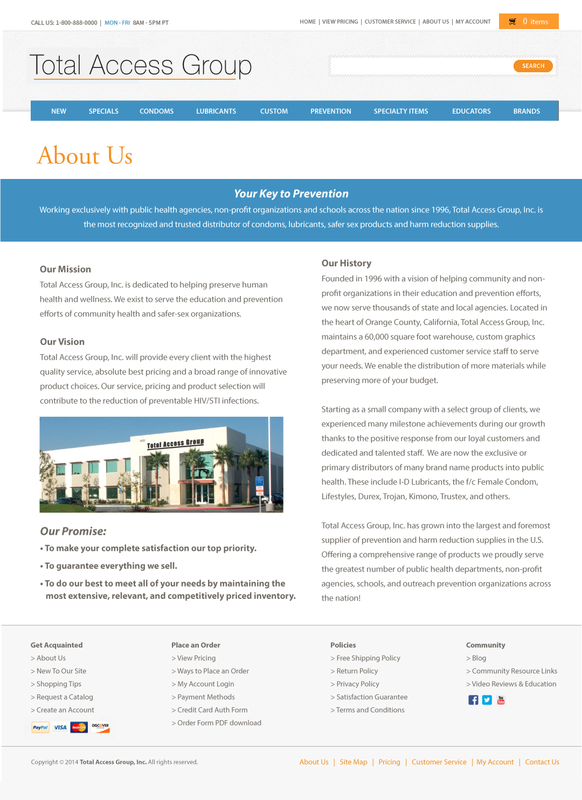 I created all of the content and look of the redesign, while another co-worker executed the coding. The dated looking navigation of the original website (a list of links as a side bar) was updated to a mega drop-down menu that I designed the look of. I also changed the table of links that was found on the original customer service page into the footer of the website that can be accessed on any page. 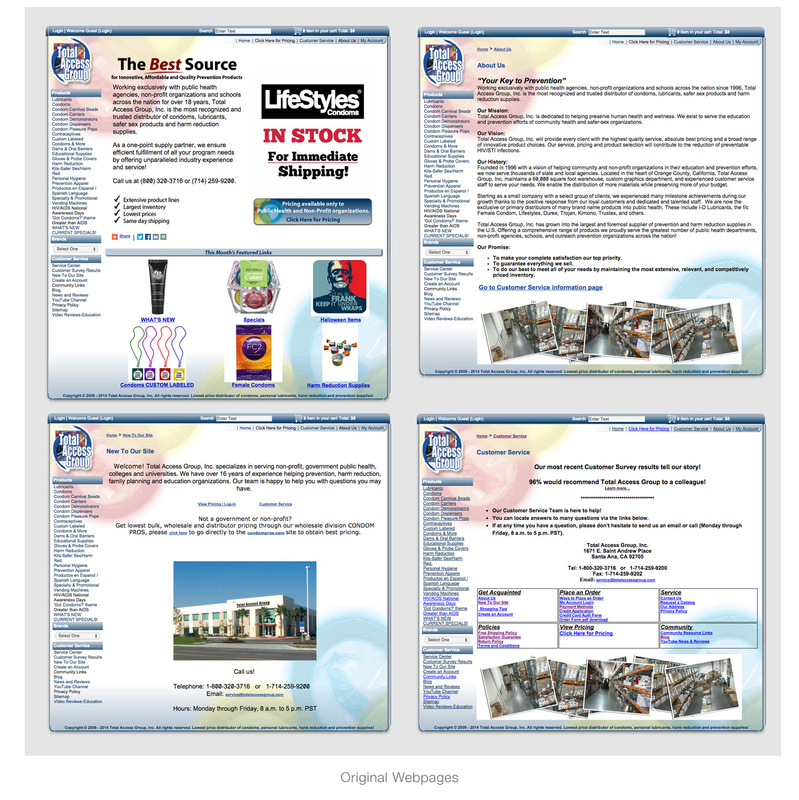 I updated the boring visuals of the original website (images of their warehouse) with more interesting elements that I created (a girl holding product that can be purchased & a word-bubble text image).